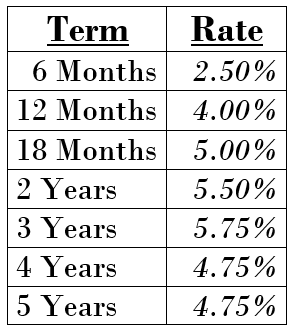 If you're looking for a short-to-medium term deposit with reasonable returns, in an industry sector that is under much tighter scrutiny than many other investment areas, then this offer deserves consideration. For more detailed information, please click on the latest Product Disclosure Statement (PDS) link below, which also includes the application. Registering your interest does not have any obligation to purchase these debentures. No money is sought at this point. Please note the allocation may be subject to availability.